O.D. 22.50" x 22.43" x 21.25"
I.D. 20" x 20.06" x 19.75"
Unbreakable, watertight, dustproof, chemical resistant and corrosion proof. 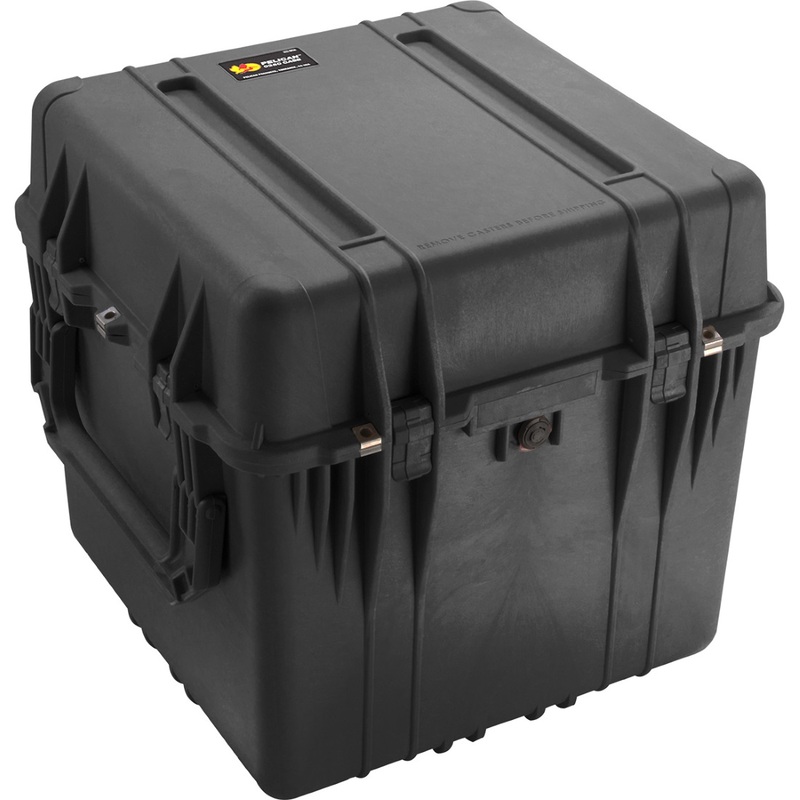 These are some of the features of the Pelican Protector Case that offers total protection for your equipment. It is made of Ultra High Impact structural copolymer that makes it extremely strong and durable. Its exclusive 1/4" (6.4 mm) neoprene o-ring and ABS latches seal perfectly and includes an automatic purge valve for quick equalization after changes in atmospheric pressure.